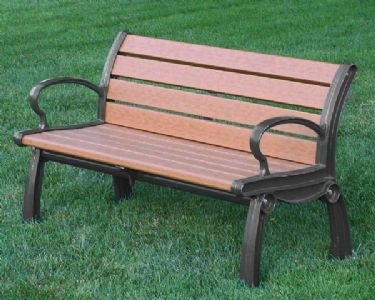 This 4 foot bench is in stock and ready to ship to your park, school, or shopping center. 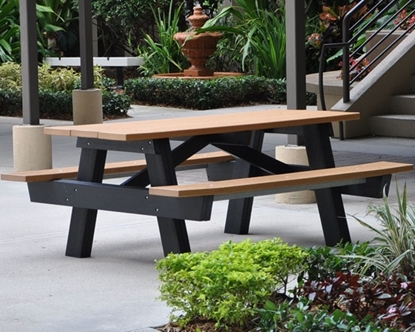 Made with 2 x 4 commercial grade recycled plastic lumber and a black cast aluminum frame. All hardware is zinc plated for durability. Recycled plastic benches have the natural beauty of real wood without splintering and maintenance. Made in the USA with a 3 year manufacturer's warranty. • Quick Ships in 3 Business Days up to a quantity of 4.